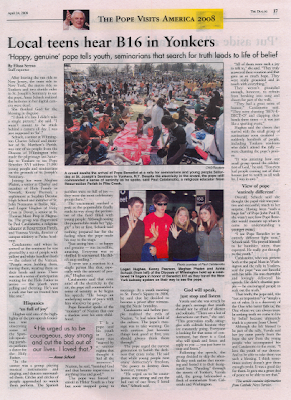 The group I went with to the papal youth rally in NY were interviewed by our local diocesan paper. I had to use my full last name in the interview. Click on the image to download a pdf of the story.